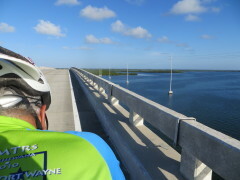 Don and I rode the tandem from Key Largo to Florida City on Saturday, to retrieve our car. 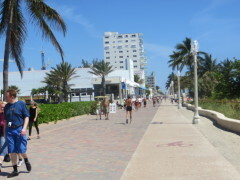 With help from the staff at the Travelodge in Florida City/Homestead, I was able to get started on my route into Miami, using the Adventure Cycling map. 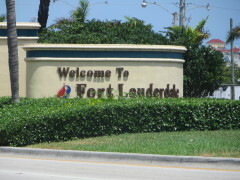 After 30 miles or so, I had a flat on Old Cutler Road – Don was nearby and picked me up and we headed to our Fort Lauderdale hotel. 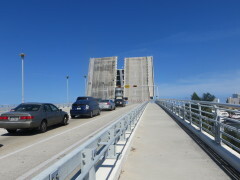 On the top of the Card Sound bridge. 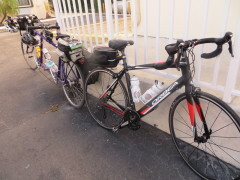 The tandem and my single “kissing” to transfer the miles from Key West. 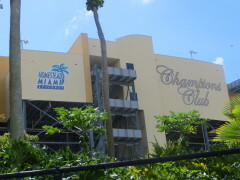 The route into Miami took me past the Homestead-Miami where they hold NASCAR races. 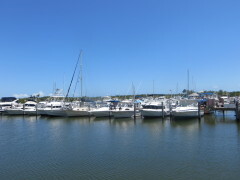 At the Black Point Marina, lots of Saturday boating activity. 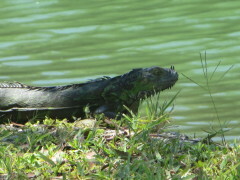 Saw this fellow beside the trail – lizard or small crocodile?? 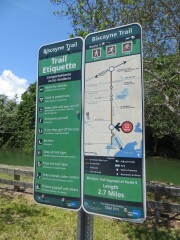 The Biscayne trail merged into the Old Cutler Trail – lots of shade. 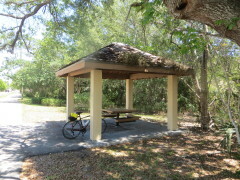 Even a shelter along the trail. 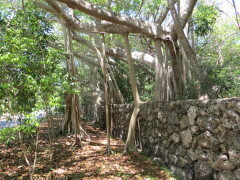 This banyan tree surrounded the wall. 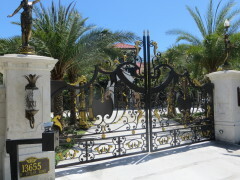 Big, fancy houses along Old Cutler Road. Sunday morning Don drove me back to Old Cutler Road, to the point where he had picked me up the afternoon before. 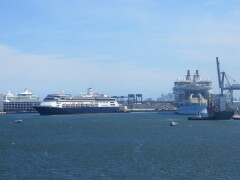 The scenery became more urban as I approached downtown, then more marine as I crossed over to close to the ocean. 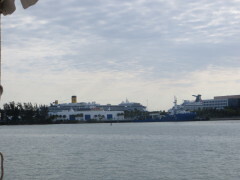 Cruise ships in the Port of Miami. 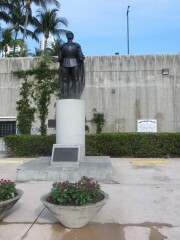 Not sure of Christopher Columbus’ relationship to Miami, but they have a statute of him. 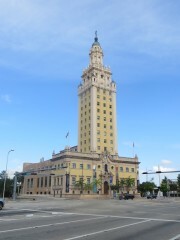 Museum of Art and Design building. 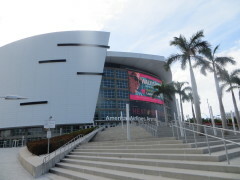 American Airlines Arena, home of the Miami Heat. 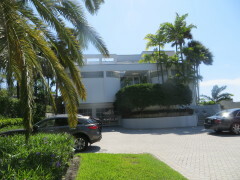 Big, fancy home in Miami Beach. 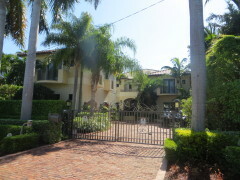 Oceanview home on Golden Beach. Those are hills I can’t climb. 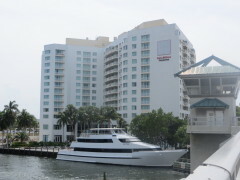 Cruise ships in Port of Fort Lauderdale. 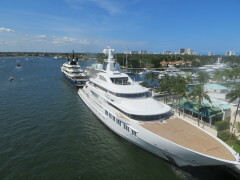 Personal cruise ship of the rich/famous. Gallery One Doubletree, our starting hotel. 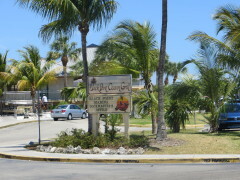 After 57 miles on Sunday, I arrived at the start hotel, a total of 228.48 miles from Key West! The Womantour riders are gathering, friends from CCST13, and new faces. 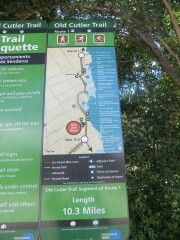 Today I rested, no bike time, tomorrow we meet and get acquainted, then pedal off early Wednesday morning. I smiled the whole time I read this (well, except for the flat tire part). Great photos and so excited for you to “officially” start this week! Molly, it is a joy to read your blog. I envy you. Don’t think I’ll ever be able to do something like this. Have a great time on your trip. I will be following you. Best wishes. Have you toured with Womantours before? Please let me know how you happen to subscribe to my blog. 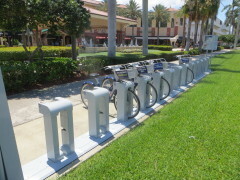 Once again I want to wish you safe and satisfying ride. You are indeed one amazing lady. Hope the trip is every bit as memorable as your last one was. We’ll be rooting for you all the way! Enjoy your rest day. You are well prepared for the trip and will have a great adventure. enjoy! Tell everyone hello. Will be thinking about you.